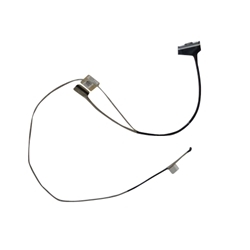 Description: New genuine Acer laptop replacement led lcd cable. This cable is the non-touchscreen version only. If your laptop has a touchscreen this is not the correct cable. Compatible Part #'s: 50.MVQN7.001, DD0ZRTLC100. Acer Aspire E5-522, E5-522G, E5-532, E5-532G, E5-532T, E5-573, E5-573G, E5-573T, E5-573TG.